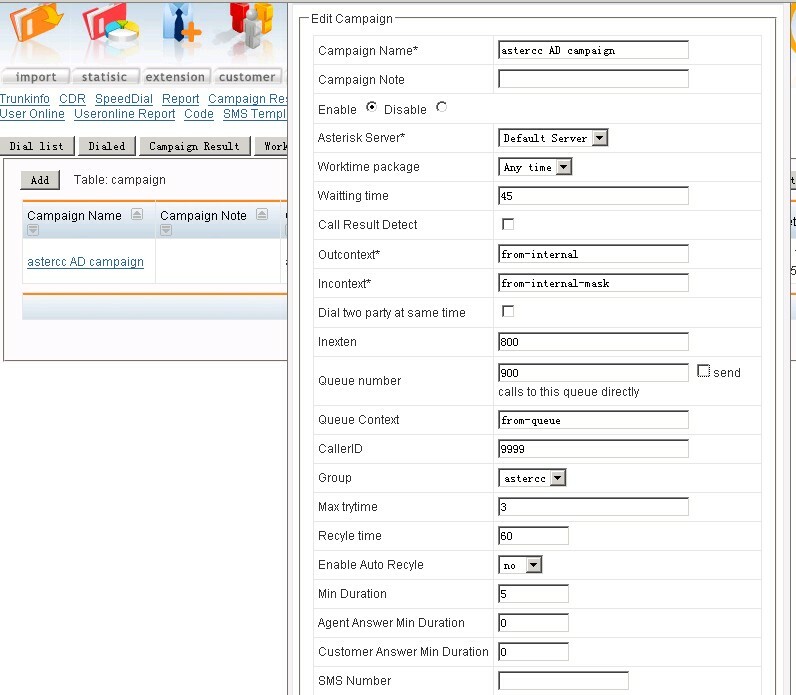 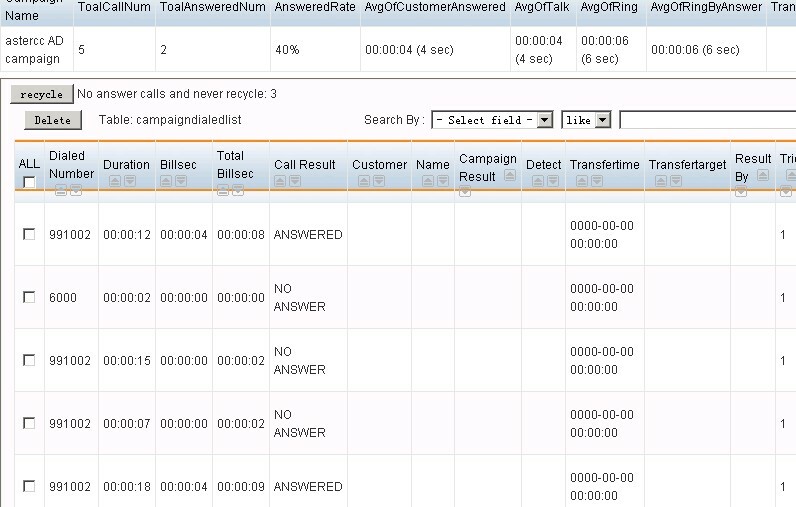 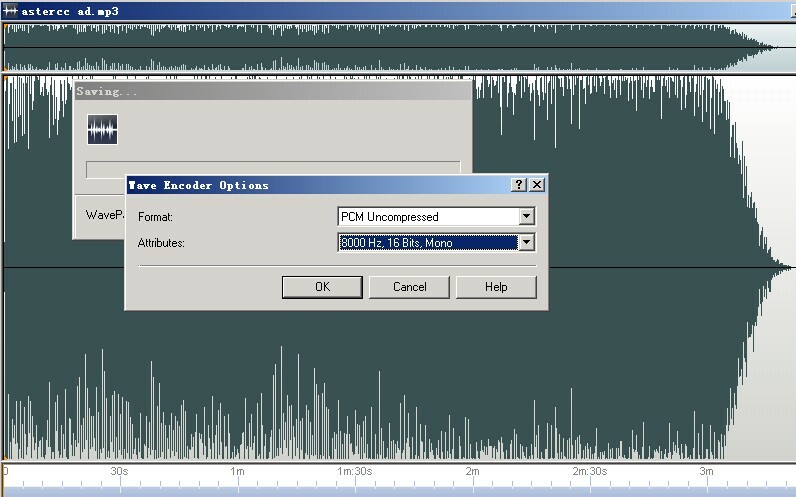 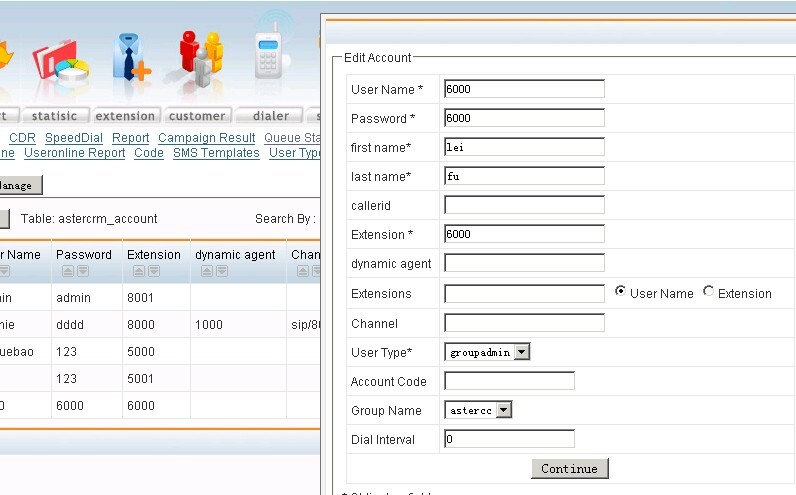 Dynamic Agent mode is very useful in a outbound call center, agents login to a queue and hear some music we definied in the queue, then predictive dailer start works, it dials customer numbers and once it get connected the dialer will redirect the call to the queue, and agent in the queue could hear a beep immediately then could start talking to the customer, it’s so quick that customer just think it’s a call from the agent. 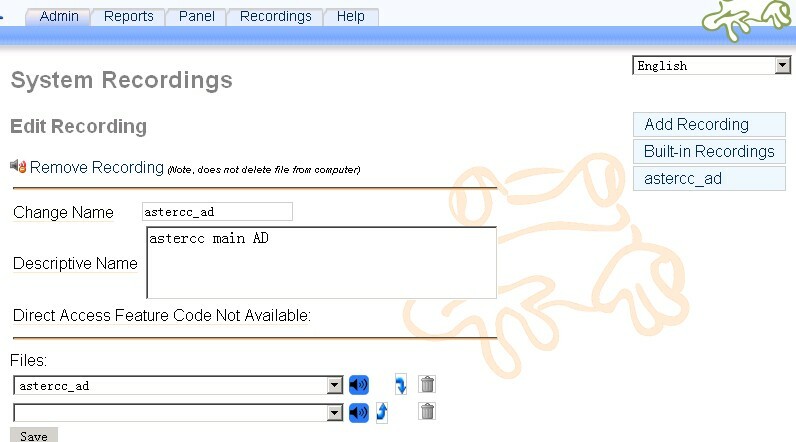 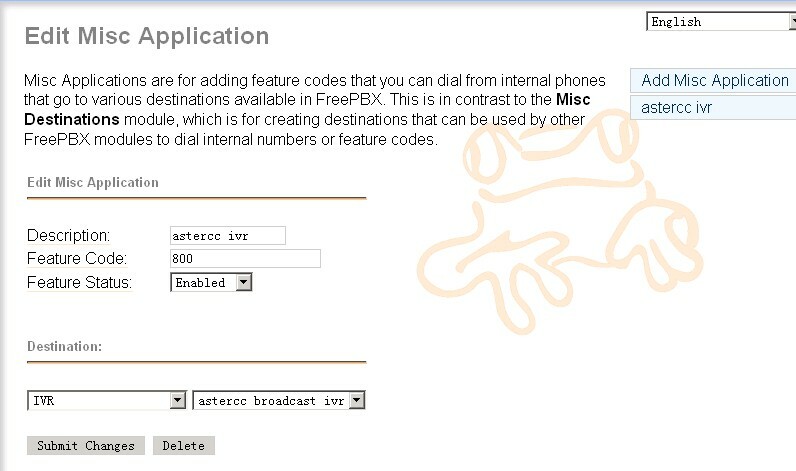 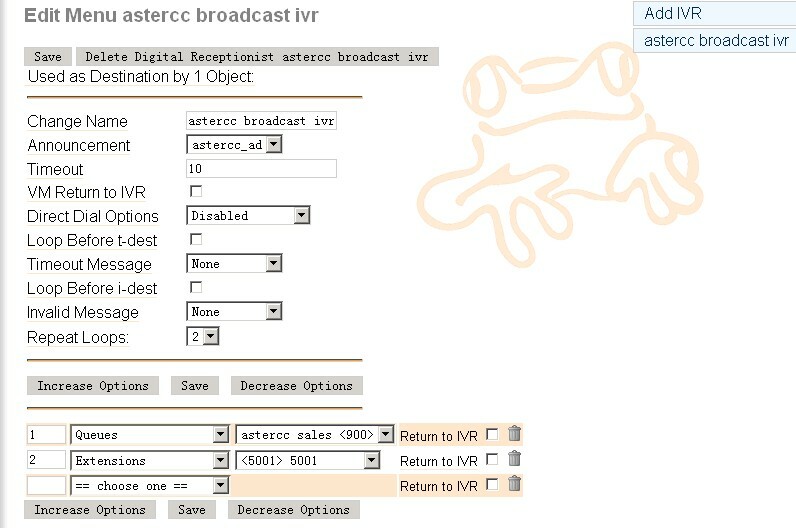 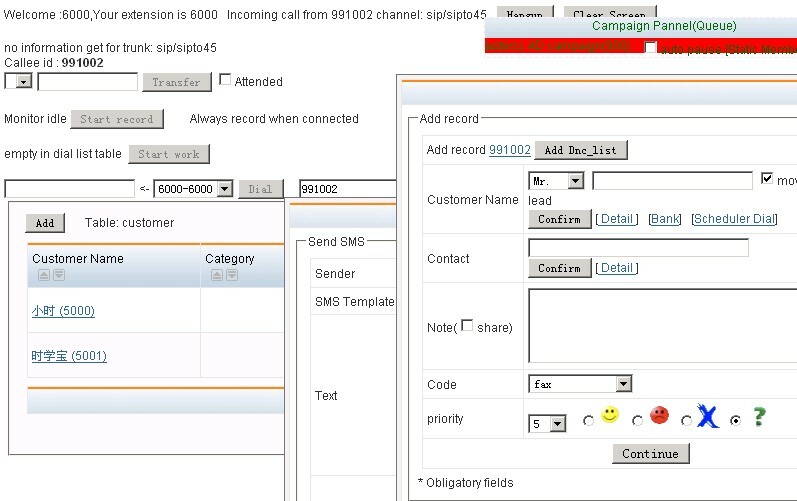 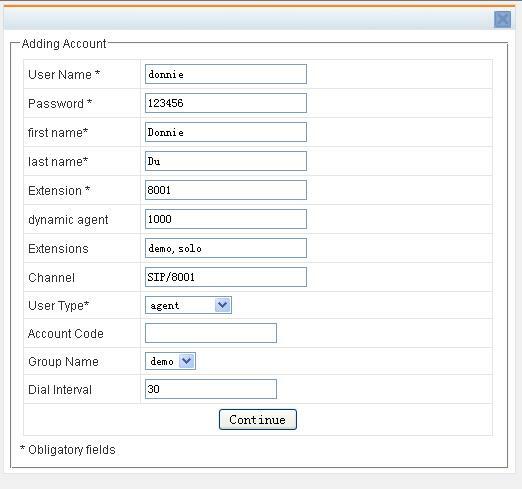 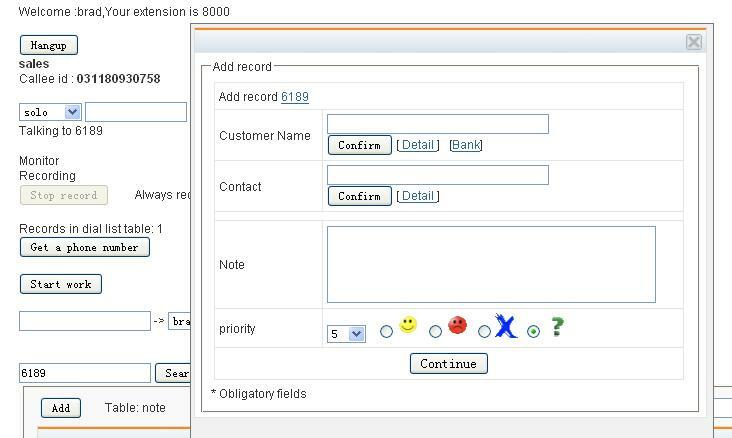 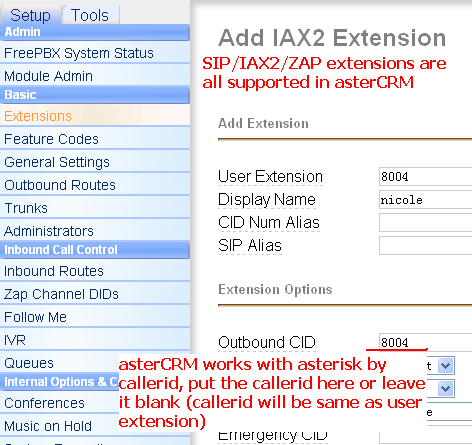 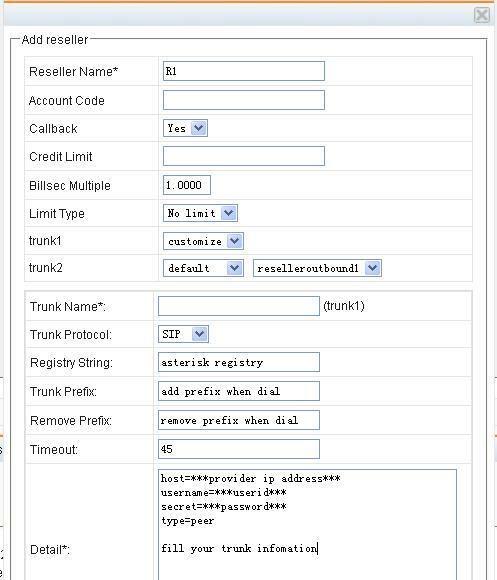 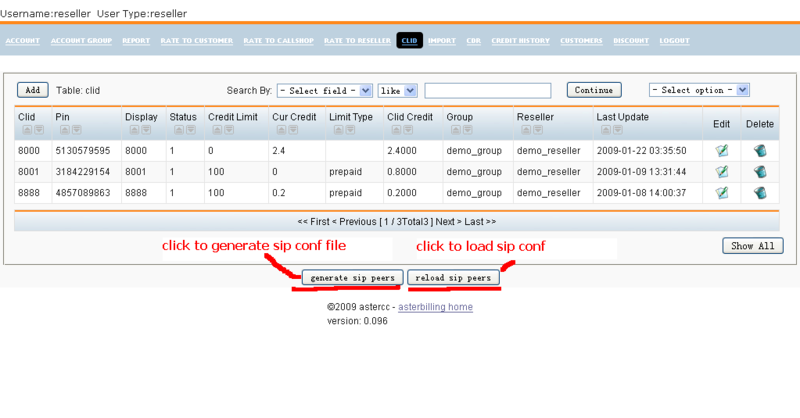 With asterCRM, agent could get customer information once the call get connected, here we’ll introduce how to set dynamic agent in freepbx and asterisk: First, we need to add some extensions and queues in FreePBX: add extensions: go to FreePBX extensions page, then we add a queue and choose a dynamic agent for it like following figure yes, if you want to add a dynamic agent for a queue, you should add a agent number with A in queue agent list, and we can notice that message from FreePBX. 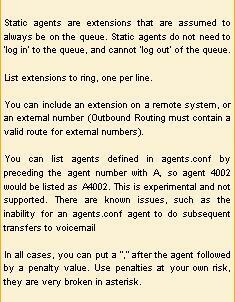 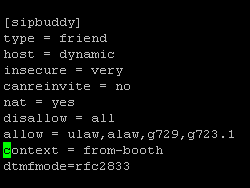 so we need to counfigure agent.conf in asterisk conf directory, here we add a dynamic agent which number is 1000, its passoword is 0000, name is Brad then we add a dialplan for agent login in extensions_custom.conf like following line: update the context of extension 8000 to “agent-test”. 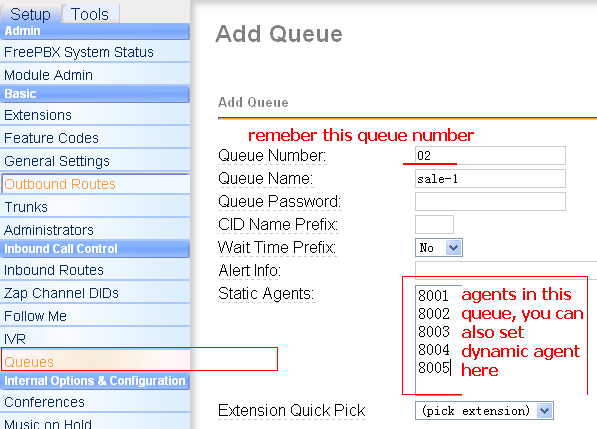 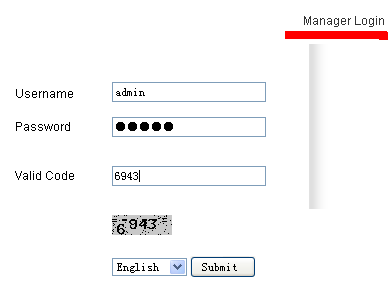 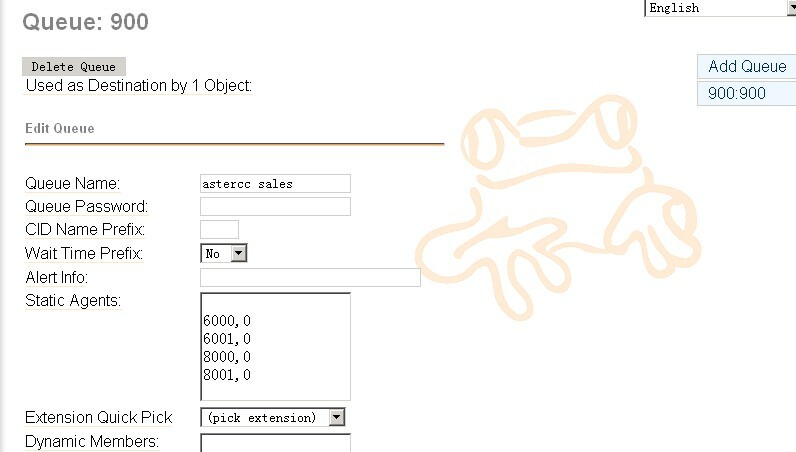 here, we had a queue which include a dynamic agnet, well then we need add a user in astercrm, go to the extension management page of astercrmand add a new extension and assign agent 1000 to him: Agnet start work: first the extension have to login as a agent to PBX, when 8000 dial “*789”, it would hear the prompt that require to enter the agent number and password to login as the agent, enter agent number 1000 and password 0000, it can login as agent 1000. login to asaterCRM by brad/1234, the asterCRM could pop-up if anyone call to Agent/1000 or extension 8000.